A8t the gateway to the Caribbean, the Republic of Trinidad and Tobago is renowned for its industrialised, energy export-driven economy, vibrant culture and multiethnic society. T&T is a leading regional economy with an international presence in the oil and gasbased energy industry, and a profitable and productive services sector. 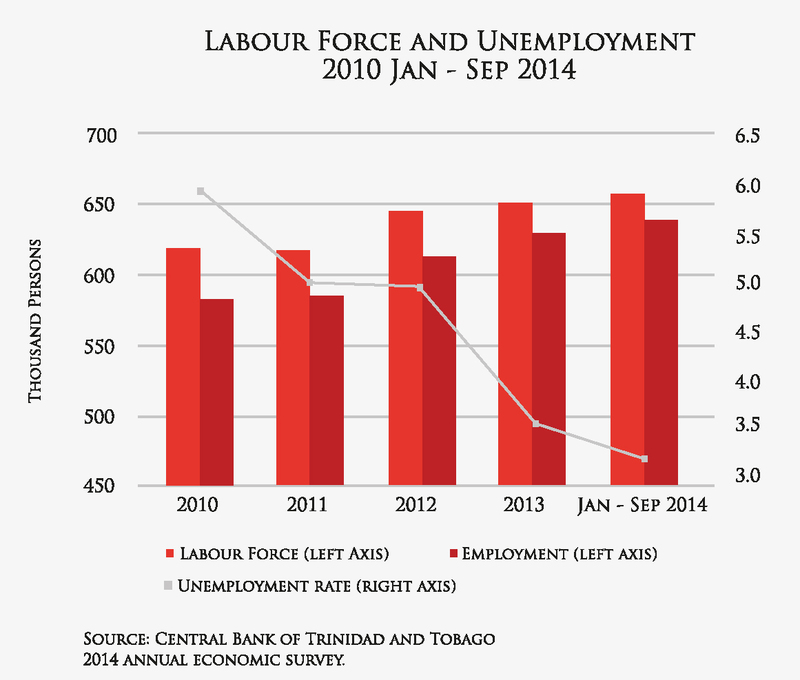 T&T is also pursuing a policy of economic diversification and is investing in several other sectors. Trade, investment and innovation are also policy priorities of this two-island nation as it continues its path to development. There is no Daylight Saving Time (DST). Once attached to the South American mainland, Trinidad is situated at 12 km (7 miles) northeast of the coast of Venezuela and is separated from it by the Gulf of Paria. Trinidad has three mountain ranges — the Northern Range, the Central Range and the Southern Range. The highest point, El Cerro del Aripo, is 940 metres (3,084 ft) above sea level. About 40% of all land is undeveloped forest and woodlands, although the island is experiencing rapid development. Trinidad’s Pitch Lake is the largest natural reservoir of asphalt in the world. Tobago lies 34 km (21 miles) northeast of Trinidad. Of volcanic origin, the island is a single mountain mass, although the south-west is flat or undulating and coralline. The highest peak, the Main Ridge, reaches an elevation of about 576 metres (1,890 ft). The coastline is broken up by inlets and sheltered beaches, and there are several uninhabited islets. 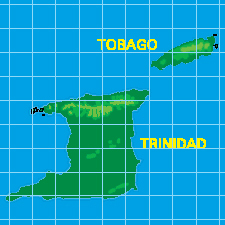 Trinidad and Tobago has a tropical climate and two distinct seasons: dry, from January to May and wet, from June to December. 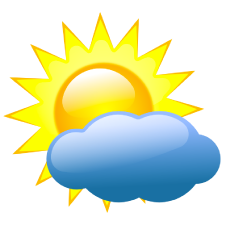 There is a short dry period around mid-September called Petit Carême. Trinidad and Tobago are just outside the usual path of hurricanes and other tropical storms, but Tobago can experience inclement weather as a result of such weather systems. Trinidad and Tobago’s government is a parliamentary democracy. The head of state is the President, who is elected by an Electoral College of members of the Senate and House of Representatives for a five-year term. Executive power, however, is vested in the Prime Minister and Government, following elections every five years. The local government body in Tobago is the Tobago House of Assembly and its seat is in the capital city, Scarborough. City Centres: Monday to Thursday – 8 a.m. to 2 p.m.
Friday – 8 a.m. to 1 p.m. & 3 p.m. to 5 p.m.
RBC and Scotiabank (not mall branches) 8 a.m. to 5 p.m.
8 RBC Branches open on Saturday 9 a.m. to 3 p.m.
Declining economic activity in the second half of 2016 dominated the energy sector. Weaknesses were manifested in contractions in crude oil, natural gas, LNG and petrochemical production which outweighed increases in petroleum refining. Latest figures show natural gas production fell by 15.4% in the second half of 2016. The decline was a result of a drop in production from bpTT, however, production from bpTT’s Juniper platform should boost natural gas supplies and the energy sector on the whole in the latter part of 2017. Growth in the non-energy sectors such as distribution, construction and manufacturing contracted in Q3, 2016. Manufacturing activity declined by 4.3% and this is attributable to lower chemicals and assembly-type output. There was a reduction in electricity generation at the end of 2016 as electricity and water output declined by 3.7%. The closure of ArcelorMittal, the largest single industrial consumer of electricity, is linked to this development. The finance, insurance and real estate subsectors rose by 0.8% on account of an increase in commercial banking but there was a decline in activity in trust companies, real estate and mutual funds. The agriculture sector increased by 0.4 %. Trinidad and Tobago is one of the top five Caribbean meeting and conference destinations. Many hotels have facilities for conferences, including international brands such as the Hyatt Regency Trinidad and the Hilton Trinidad and Conference Centre. In addition, the state-of-the-art National Academy for the Performing Arts (NAPA), South Academy for the Performing Arts, award-winning spots like Coco Reef and the Magdalena Grand Beach Resort in Tobago are ideal for corporate meetings and team-building retreats. Trinidad and Tobago hosted 29,449 business travellers during the first half of 2017. The legal system is based on common law and statutes. The judicial system comprises magistrates’ courts and the Supreme Court, which is made up of the High Court and the Court of Appeal. There is a separate Industrial Court that deals with most labour matters. The Judicial and Legal Service Commission appoints judges of the Supreme Court. The Attorney General is responsible for the administration of the legal and judicial system. 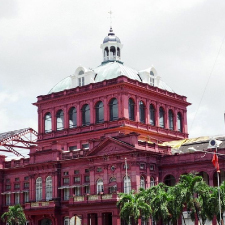 Final appeal from Trinidad and Tobago courts is to the Privy Council in England, but consideration is being given to replacing the Privy Council with the Caribbean Court of Justice, which was inaugurated in April 2005, with its headquarters located in Port of Spain. The educational system is based on the British model and produces one of the highest standards of education in the Caribbean. Primary and secondary level education at most institutions are free, but private school options are available for a fee. 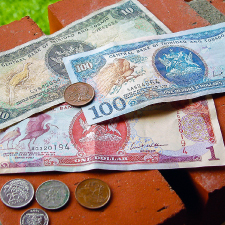 Post-secondary and tertiary education providers include The University of the West Indies (The UWI), the College of Science, Technology & Applied Arts of Trinidad & Tobago (COSTAATT), distance learning tertiary-level institutions, vocational/technical training schools and colleges, the technology-based University of Trinidad and Tobago (UTT), and the National Institute of Higher Education, Research, Science and Technology (NIHERST). Trinidad and Tobago’s health system consists of government-funded and private hospitals, well-qualified specialists, private medical practitioners and clinics scattered throughout the islands. Specialists trained in gynaecology, paediatrics, radiology, physiotherapy, cardiology, gastrology, urology and orthopaedics work both in private practice and healthcare facilities. Medical services are free at the government-funded institutions and clinics, but a fee is charged at all others. Twenty-four-hour emergency services are available at several government and private medical facilities. 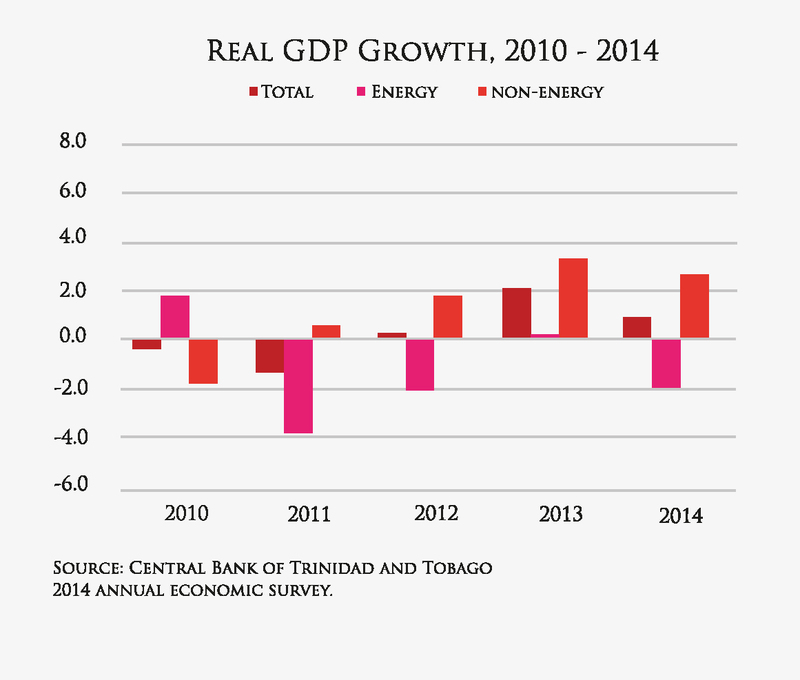 Trinidad and Tobago has a reliable supply of electricity with rates still among the lowest in the Caribbean. The domestic and commercial supply voltage is 110/220 volts, 60 cycles. The Trinidad and Tobago Electricity Commission (T&TEC) is the agency responsible for the country’s electrical supply. 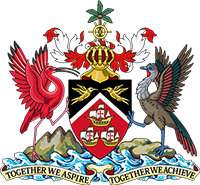 The Water and Sewerage Authority of Trinidad and Tobago (WASA), a state enterprise, is the sole provider of water and wastewater services in Trinidad and Tobago. The Telecommunications and Broadcasting sectors generated an estimated TT$5.6 billion (US$836.0 million) in 2016, which as a percentage of GDP equates to 3.8%. This represented a 0.3% decrease in total revenues generated by this industry compared to last year. Total Telecom revenues increased by 2% while total broadcasting revenues decreased by 11%. TSTT has, for many years, been the major provider of landline and mobile telephone services. Digicel offers mobile and cable television to both islands and has also introduced fixed line and domestic wireless services. Flow offers cable television, internet and landline telephone services. With broad coverage throughout the islands, mobile phones are an easy and available option. Wireless Internet services are readily available at hotels and cybercafés. Regular mail, express mail and courier delivery are reliable and available from local provider TTPost at excellent rates. International courier services are efficient and readily available. Radio Tambrin 92.7 (Tobago), 104.7, and Heritage 101.7. Visitors to Trinidad and Tobago must possess valid passports and return or ongoing tickets for successful entry. Most Commonwealth countries do not require visas for entry, except Australia, New Zealand, Nigeria, Papua New Guinea, Sri Lanka, Tanzania, Cameroon, Fiji Islands, Mozambique, Uganda and South Africa. For business travel and vacations lasting 90 days or less (within a 180-day period) European Union citizens do not need visas for entry. The same applies for nationals from non-European Union Schengen countries (Iceland, Liechtenstein, Norway and Switzerland). Holders of CARICOM passports, with the exception of Haiti, do not require visas. Visitors from several other countries are allowed to enter Trinidad and Tobago for periods of up to three months without a visa. Piarco International Airport is located about 45 minutes from the capital city, Port of Spain. It plays an important role as a vital hub for international air traffic in the Caribbean. 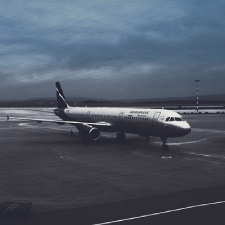 There are non-stop daily scheduled flights to and from major international cities. Trinidad and Tobago’s national airline, Caribbean Airlines, serves Toronto, New York, Miami, Jamaica, Saint Maarten, Antigua, Barbados, Trinidad and Tobago, Guyana and Suriname. International and regional airlines that fly to Trinidad and Tobago include American Airlines, British Airways, Caribbean Airlines, United Airlines, West Jet, JetBlue, LIAT and several charter flight companies. International flights are also available direct from Tobago’s ANR Robinson International Airport. Trinidad and Tobago has an extensive transportation network of paved roads. Highways link the north and south of the island (Uriah Butler Highway, Solomon Hochoy Highway), and the east and west (Churchill-Roosevelt Highway). Traffic is extremely heavy at peak hours when a high number of vehicles head into and out of the capital city and environs. Driving is on the left-hand side. The main seaports are located in Port of Spain and Point Lisas. The Port of Port of Spain handles dry and general cargo, break bulk, containers and passenger traffic. The Point Lisas Industrial Port Development Corporation Ltd. (PLIPDECO), mainly a bulk port for industrial commerce, also handles container and general cargo traffic. There are ferries travelling the inter-island route daily. The CARICOM Jetty, which is located at the Port of Port of Spain and operates the passenger inter-island ferry, receives, stores and delivers CARICOM cargo and multipurpose containers for trade within the Caribbean region. A water taxi ferry connects Port of Spain and San Fernando. 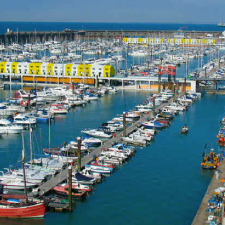 Scheduled sailing times are Monday to Friday. Tickets cost TT$15 one-way and can be purchased at the Water Taxi Terminal located at Flat Rock, Lady Hailes Avenue, San Fernando or the Cruise Ship Complex, Port of Spain. Free parking is available at both ports. There is a Public Transport Service Corporation (PTSC) shuttle service, which costs TT$3 through the city of Port of Spain. The following airlines/flights are sometimes scheduled to operate during peak periods. The festivals, music, customs, cuisine, religions and races of Trinidad and Tobago reflect a rich and unique cultural diversity. The nation has a passionate and colourful history spanning five centuries. Festivals and religious and cultural observances include Divali (the Hindu Festival of Light), Eid-ul-Fitr (Muslim religious day), Emancipation Day, Indian Arrival Day and Corpus Christi (Catholic). Trinidad and Tobago Carnival is a world-famous event that brings together artists, musicians, masqueraders and revellers for a month-long celebration that culminates in a two-day parade. Trinidad and Tobago, although relatively distinct ecologically, are both blessed with rich natural environments well suited for ecotourism. Once part of the South American mainland, Trinidad’s flora and fauna have comingled, leading to a great density of plant and animal types in a relatively small location. Trinidad and Tobago has more than 97 mammal species, 400 bird species, 90 reptile species, 30 amphibian species, 600 butterfly species and over 2,100 species of flowering plants. The island’s nature reserves attract major international traffic from naturalists and nature watchers. The terrain is just as diverse, with tropical rainforests, mangrove swamps, mountainous terrain and savannahs. Birdwatching is a major attraction in Tobago as well, with Little Tobago island recognised as one of the Caribbean’s top seabird sanctuaries. Tobago is also a hub of aquatic tourism. The waters off the island are a haven for wildlife, an attraction for both divers and boat tourists. Buccoo Reef (a large coral reef and protected marine park) is a popular destination. Tobago’s Main Ridge Forest is known to be the oldest protected rainforest.